How I planned on spending my Christmas break. My parents thought otherwise. My parents have made me feel right at home since I arrived from school about two hours ago. On the ride home they told me that the downstairs TV broke while I was at school and that they hadn’t replaced it yet, which totally would have messed up my TV plans. And then my mom told me that Comcast got rid of Turner Classic Movies. 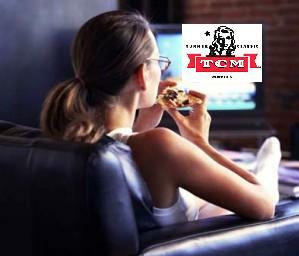 When I get home, I race to the family room to discover that there is a brand new TV and yes, TCM still exists. Way to almost give me a panic attack, parents. Thanks a lot.